No, the SRM PC8 is not a mapping device. Nor does it have features such as rider to rider messaging and Strava Live segments. Let’s get that out of the way right off the bat. If you’re in search of the latest bicycle computer with all the fun bells and whistles, the SRM PC8 probably isn’t for you. 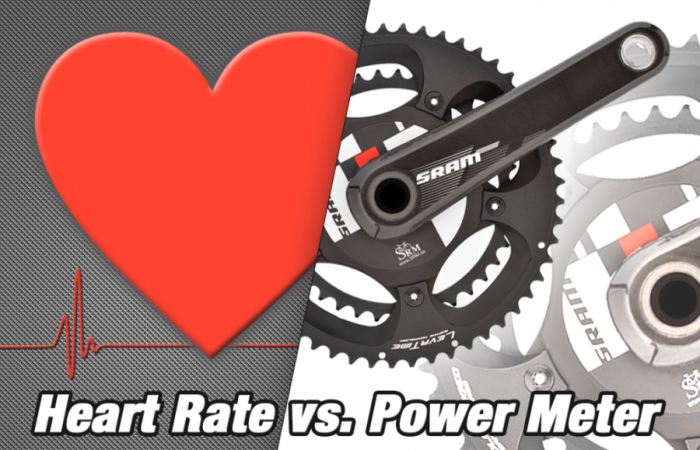 Rather, the SRM PC8 is intended for serious athletes who train. 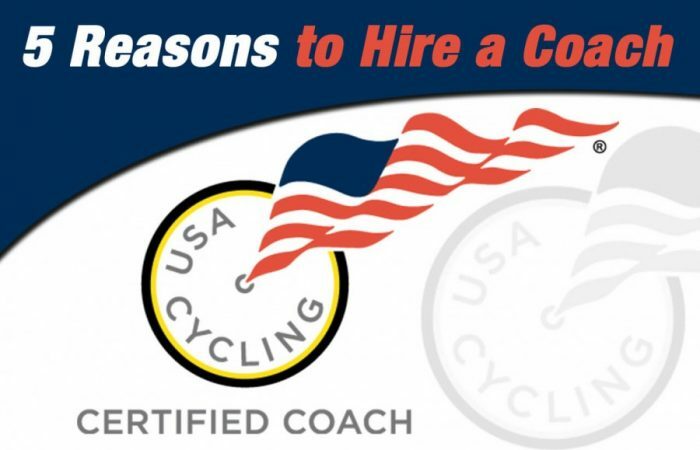 More specifically, the PC8 is designed for athletes who are focused on structured training and are willing to spend up to buy a premium head unit that will aid them in this endeavor. 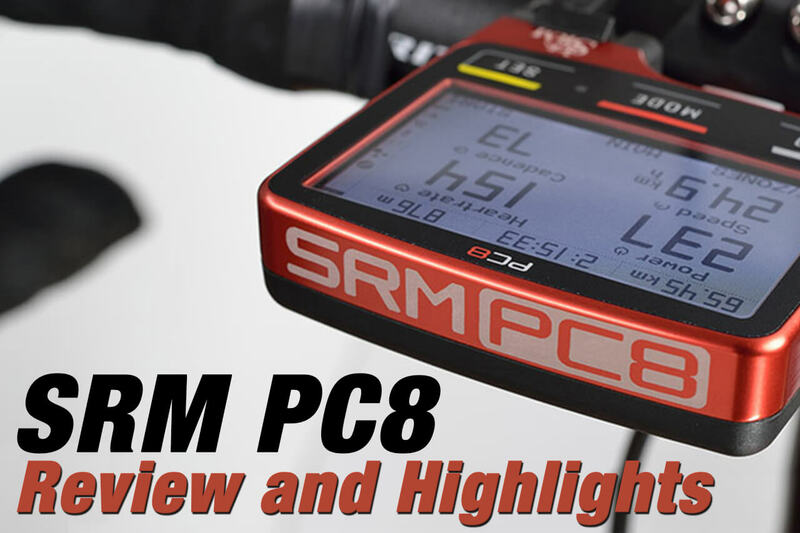 Here is our summary SRM PC8 review. 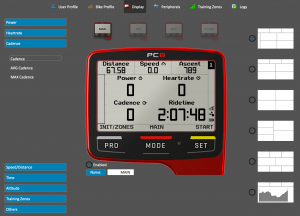 What the SRM PC8 does do, it does very well. Here are the highlights. 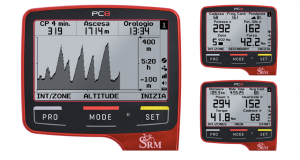 As previously mentioned, the SRM PC8 is first and foremost a training device designed for athletes focused on training, and that becomes apparent as soon as you take a look at the screen. The large, horizontal screen allows your key metrics to be clearly displayed in a manner that makes your data easy to view while training. In addition, the screen is as high-contrast and sharp as it gets – with large, easy to read letters and numbers. The whole layout and display really impresses and after using the PC8 for a bit, it’s hard to go back to the smaller, often cramped screens found on other head units. Built by hand in Germany, the PC8 is made of glass and aluminum and sets the bar for how head units can look and feel. The truth is, no head unit looks more ‘pro’ than a PC8. Most athletes that bolt a PC8 onto their bars take pride in its aesthetics – and they should. In addition, unlike other head units, the SRM PC8 can be ordered in any color you would like, for an additional cost of $50. Setting up and configuring the device also has its advantages. Using desktop software with an easy to use user interface, you can adjust your data fields by simply choosing a data grid and dragging and dropping your desired metric into a given slot. 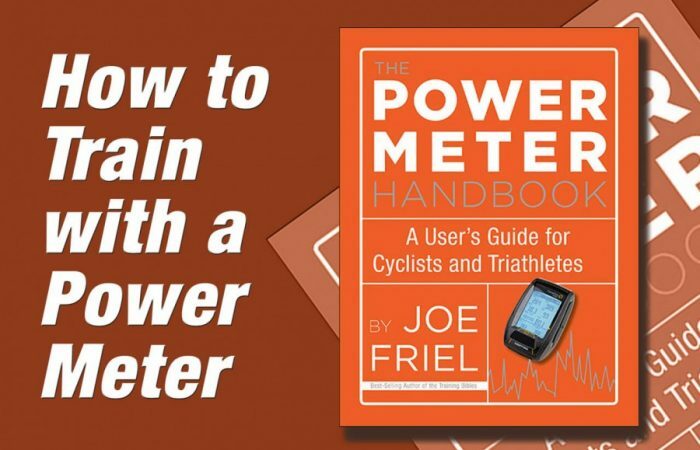 While it doesn’t offer the number of data fields of a Garmin or Wahoo, it absolutely offers all the metrics you need to effectively train with power. The SRM PC8 lacks some of the features found in other popular head units, and it’s not cheap at $749. However, if you’re a serious athlete looking for a high-end, handmade, dedicated computer to augment and aid your training – the PC8 is the right device for the job.